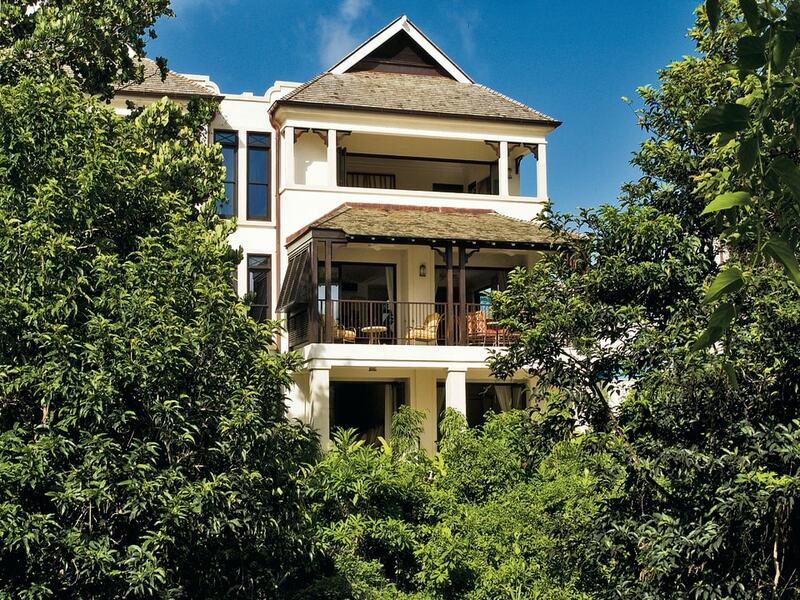 Tree House Villa No 5 is located within the ‘Garden Wall Villas’ of the upscale golf community of Apes Hill Club. Cool and breezy year round, this townhouse boasts 3 levels with open plan living, dining and kitchen spaces. The main level offers the living area, kitchen and powder room while the other 2 floors have bedrooms, each with bathrooms and patios that project into mature trees and landscaped outdoors. No 5 has a private plunge pool, car port along with a golf buggy garage. The clubhouse at Apes Hill, now completed, offers a swimming pool, golf shop, fitness center and restaurant. Residents at Apes Hill have access to these amenities along with superb golf at the Apes Hill World Class 18 Hole Golf Course. This villa has a separate, private and partially covered pool terrace and infinity-edge pool accessed from the living space.